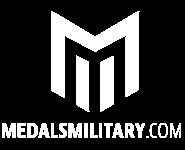 Medals Military - History and mission. Welcome to my page all collectors of medals and militaria from the period I and World War II. MedalsMilitary comes to the story with passion, because we are collectors of militaria and are interested in them for many years. Our goal is to ensure the safety of customers worldwide in buying the original items. A website targeting is not only impelled by collectors, so we strongly urge all lovers of history to invest in badge, militaria and antiques, as it is one of the investments for the future.